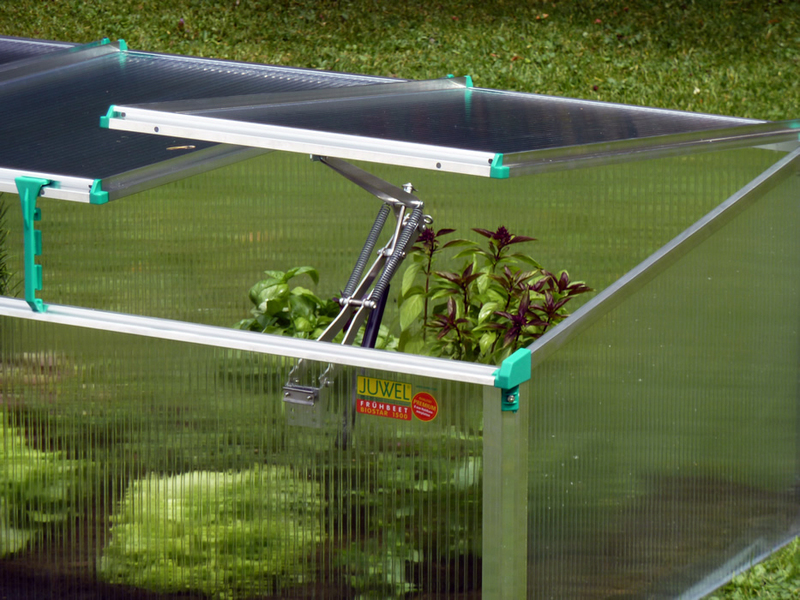 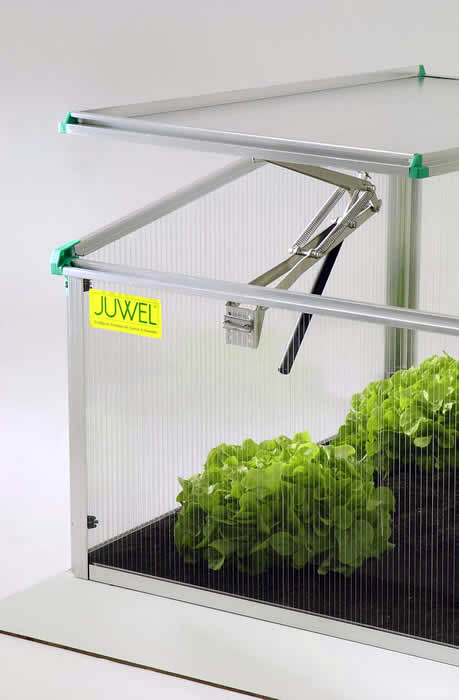 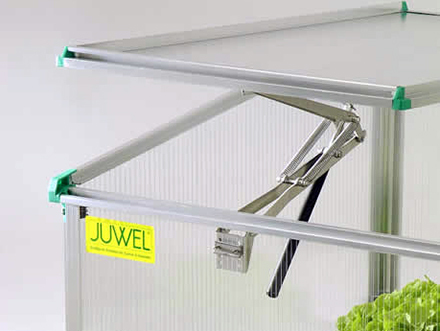 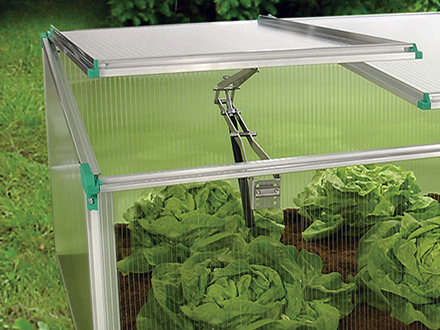 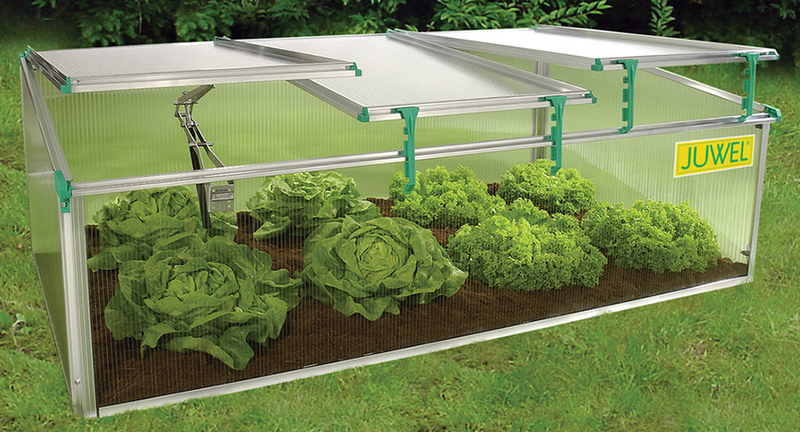 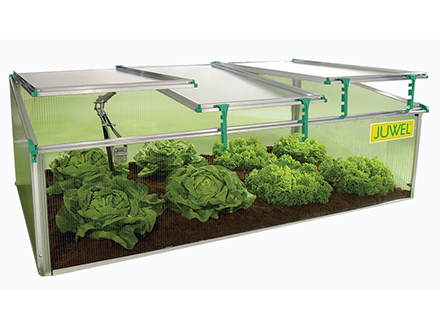 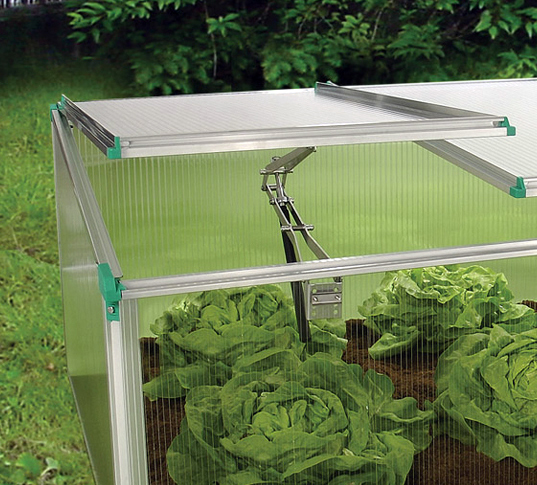 The Bio Star 1500 Cold Frame by Juwel makes getting an early start on the growing season easy. 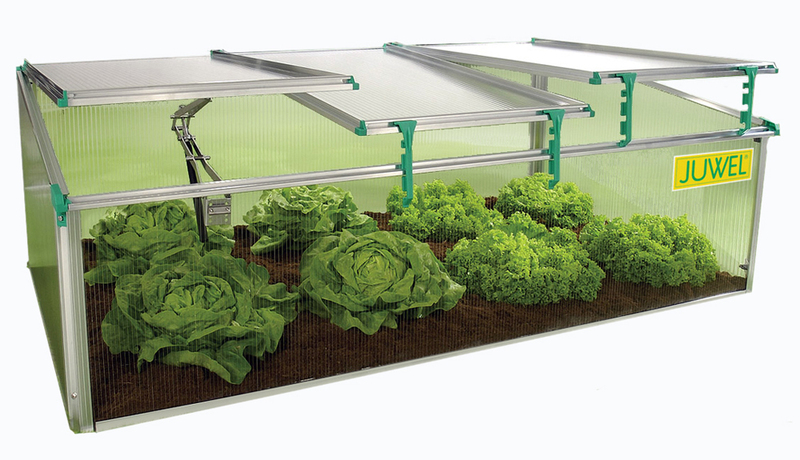 The unit is simple to set up and spacious enough for plenty of plants. 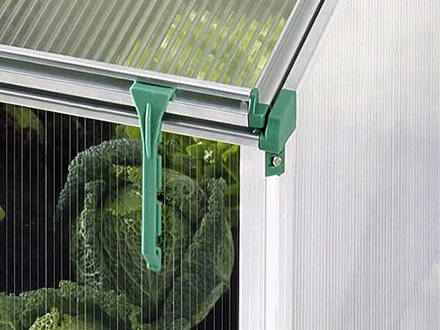 A true example of the finest in European design, the unit features weather resistant 8mm polycarbonate double skin panes which are UV resistant and gauranteed against yellowing for 10 years. 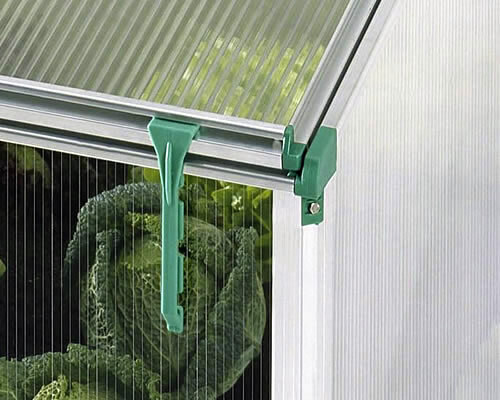 Three large windows allow you to regulate airflow, and the "no drip" coating prevents condensation on plants.